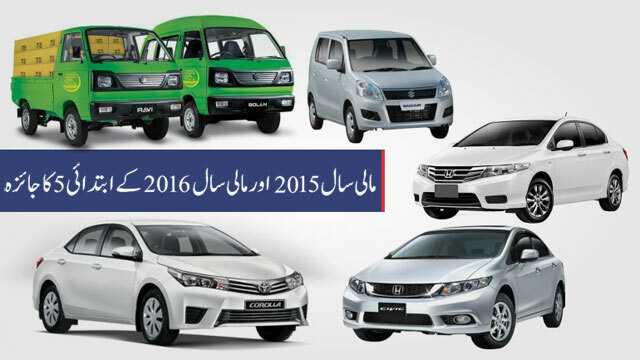 We usually lament the fact that we don’t get variety in our local auto industry, all the time. But since the imports are open, we get to see anything interesting every now and then. There are some brave souls who invest their time and money in bringing something new to our otherwise bland automotive scene. Usually our importers focus on imports from Japan, since Japanese cars sell relatively easier in our local market. And rest of the imports are usually German cars from United Kingdom. 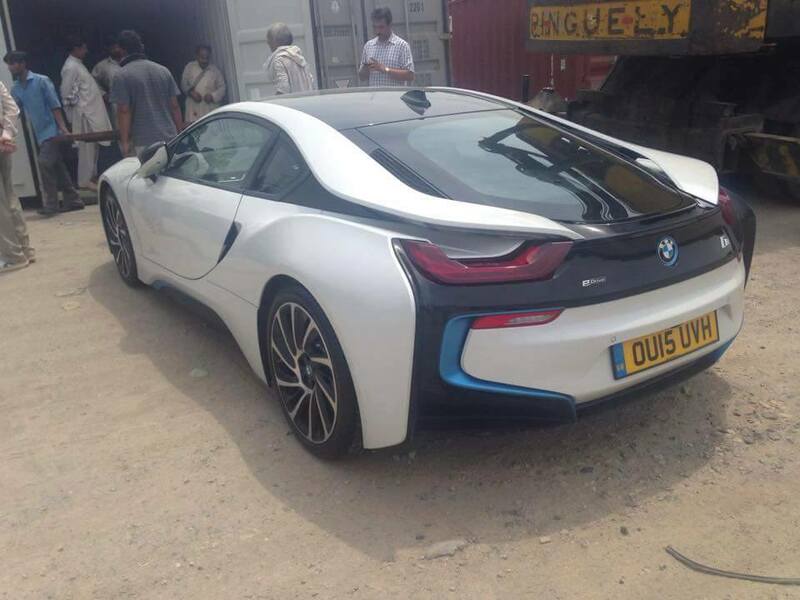 However, latest news is, there is a new addition to our import automotive scene; Pakistan’s first BMW i8. Yes, you read it right. 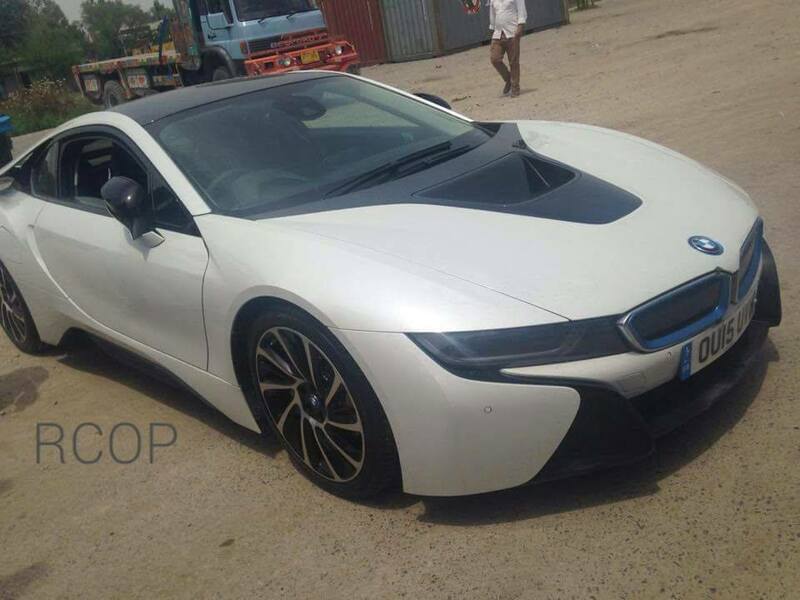 Someone has imported an absolutely breathtakingly beautiful BMW i8. 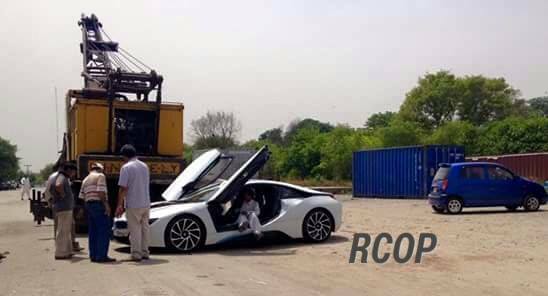 According to FB page of Racing Community of Pakistan (RCOP), a fresh BMW i8 has arrived in the city of Islamabad. By the looks of the surrounding area, it looks like Islamabad’s dry port. 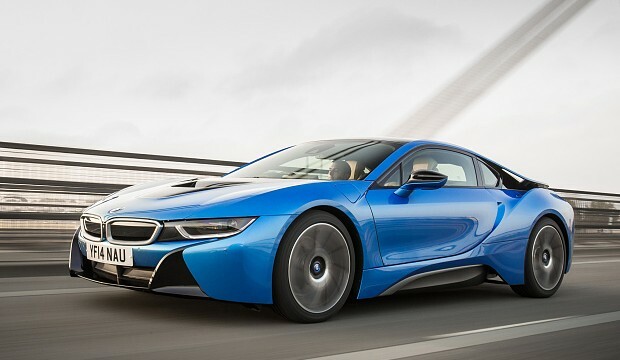 In UK, used BMW i8 goes between £135,000 to as much as £150,000. Keep in mind this is the price for a used i8. So you can well imagine what would be BMW i8 price in Pakistan. The i8 blends the 1.5-litre turbocharged petrol engine from the Mini with an electric motor for a combined power output of 357bhp. BMW says, the i8 will hit 62mph from naught in just 4.4 seconds, yet its battery has enough juice to push the car to up to 23 miles (37 km). We will try to get as much details as possible for our reader. But until then, we wish the lucky owner best of luck and hope to see more variety of such imports soon. Update: Apart from receiving more pictures of the car, we were also told by our member who read the plates that the car has Oxford plates, which means its current registration, and which further means that it brand new. Any idea about the duty… cuz the car is now easily available under GBP 90k?